OC Politics Blog | Which CA State Legislators are the most loyal to their parties? Which CA State Legislators are the most loyal to their parties? 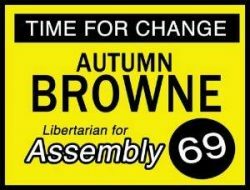 Assemblywoman Kristin Olsen – Hot and Dangerous? Scott Lay, the Publisher of the Nooner California Political Newsletter, asked his readers to vote last week in the Legislators of the Year awards, in three categories. Why, when reading this, do I feel like I have found 10 members of the State Senate and ten members of the State Assembly who should be kicked out? Here is what I want. Travis and Quirk-Silva saw a challenge at the State level for Orange County. They discussed it. They decided to find a workable solution. They did. They then worked to make sure that the solution was implemented. I want elected officials to look for challenges that face the State, work together and find solutions to those challenges. Then implement those solutions. Examples please? Sure. Prop 13 has two massive loopholes in it. Both loopholes are designed to give massive advantages to one very small and wealthy group of property owners over all other property owners. This is not an unknown challenge, but according to one party “you can’t do anything to change Prop 13” so because the parties won’t work together the loopholes will never be closed. The State will continue to hemorrhage money because the loopholes remain open. A very small group of people will benefit, and a very large group of people (most of us) will lose. All because one party views *any* change to Prop 13 as “out of the question”. We have another group of people that want to build a very fast train to nowhere. While their hearts are in the right place, that we need a major program to put people to work and also create alternative transportation, their solution is just the other side of insane. A much better solution is to focus on light rail systems that will cost less to build, will require more actual labour to build it (create more jobs), and will have a much greater effect on the people and the State. When people get on their rock and insist on seeing every opportunity to work together with “the other side” as a threat to everything they believe in, you have a dysfunctional system, not a functional one. Janet Nguyen is already ripping Jose Solorio over Prop. 13. It is a hot potatoe that I doubt the Dems want to mess with.